Electrolytic capacitors are commonly used electronic components of electronic professionals or amateurs when making circuit. • High quality, general purpose, miniature electrolytic capacitors. • Convenient and practical use. 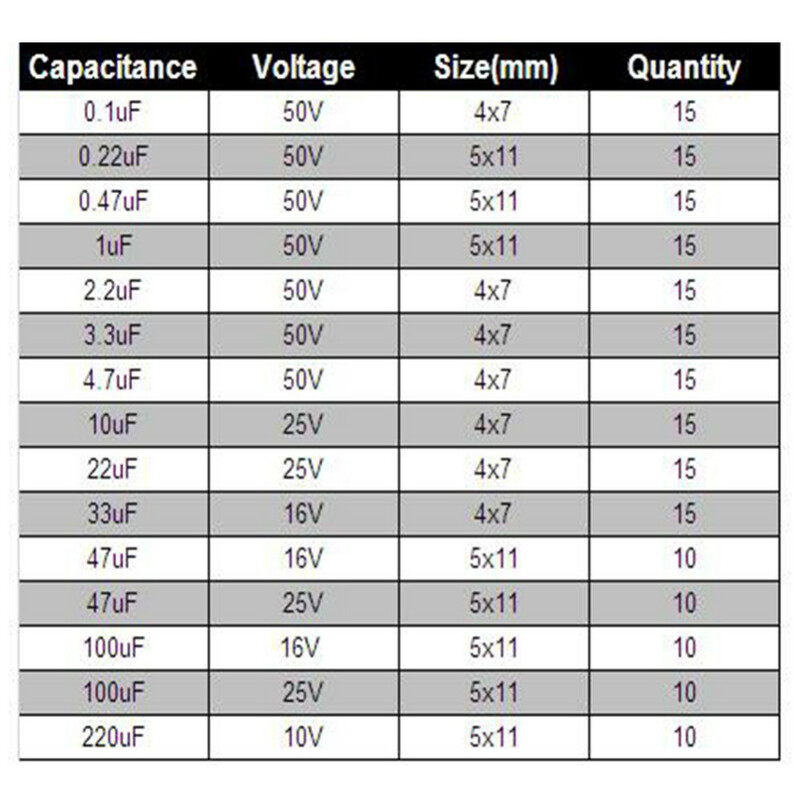 • Includes most popular types of capacitor. • Safely packed in plastic case. • Suitable for a wide range of electronic applications.